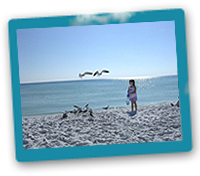 The family friendly community of Emerald Shores of Destin Florida is truly a unique place to take a vacation. With the palm treed lined streets with sidewalks to the 2 community pools, this double gated community has it all! The Emerald Shores community is a series of cul de sacs with 4-7 homes on each street. 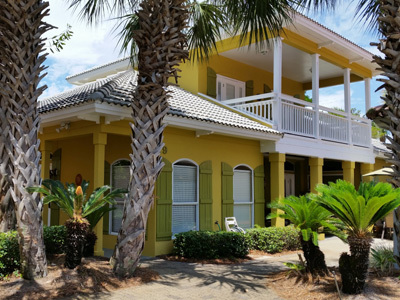 When you are on a family vacation, staying in one of the 95 homes in Emerald Shores provides you with a complete home away from home and plenty of room to move about. 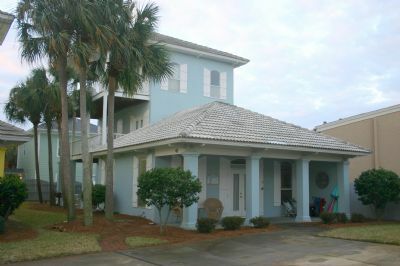 Why stay in a condo when you can stay at Emerald Shores? 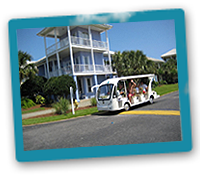 Emerald Shores provides a seasonal tram service to take you back and forth to the beach. 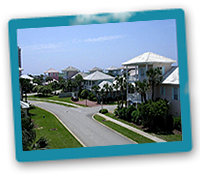 The beach is only a short walk from most of the homes in Emerald Shores. Should you want to take the tram with your beach supplies, just wait by the main road. It circles all day and is a great convenience when you have your arms full of beach toys, coolers and food for the day at the beach! One of the added benefits of staying in Emerald Shores is the tennis facility. 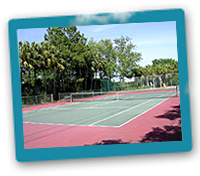 Not many communities have free tennis provided with the vacation rental. You will find the tennis, basketball and shuffle board facility on the north end of the complex. 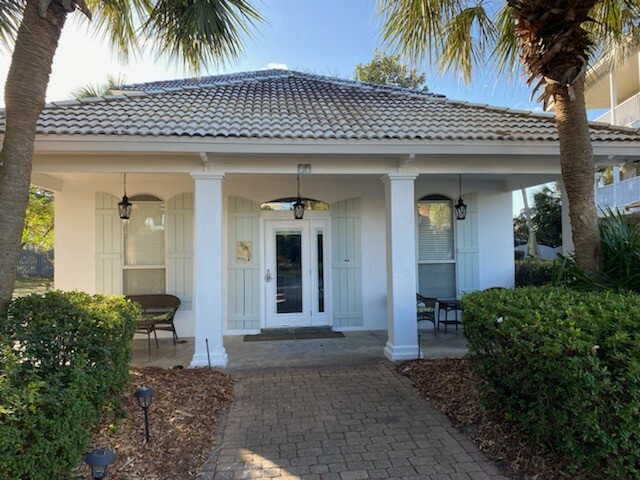 This well cared for facility is an added bonus to staying in one of the fully furnished vacation rental homes in Emerald Shores. Be sure to bring your tennis racquets and basketballs! The gated beach pavilion is really unique to Emerald Shores. 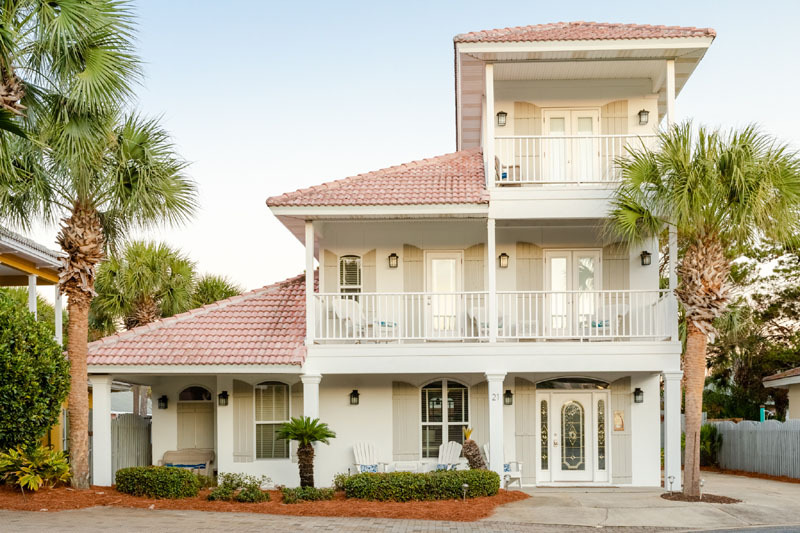 This is privately owned by the Emerald Shore Home Owners association and is your private entrance to the crystal white beaches of the Emerald Coast! The Beach Pavilion has storage for shoes, bags, carts and also BATHROOMS! So you do not have to worry about running back to the house when nature calls! Spend your time at the beach and enjoy what it has to offer all day long! 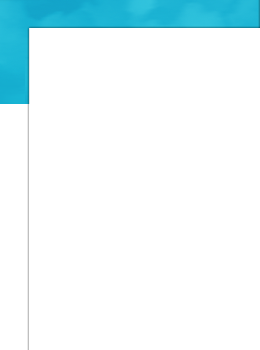 Let us not forget the best part! 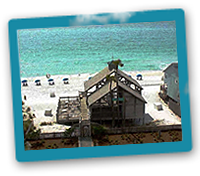 The world famous beaches of Destin Florida are waiting for you on this vacation! Destin has gone to great measures to restore and improve the best beaches in the world. The crystal white sand and clear emerald waters are available to you all year round. There is no more relaxing thing to do on your vacation than to simply sit on the beach and enjoy time with your family. Once you experience this, you too will return year after year! 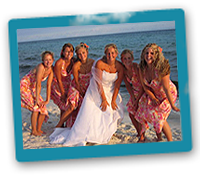 With the many homes that Emerald Shores has to offer and the Beach Pavilion it is very popular for weddings and private gatherings. The beach pavilion is available for rent and you can call the home owners office, (listed on the CONTACT US PAGE) for more details and cost. There is plenty of room to have food and drinks on the pavilion and then the entire beach is open to you as well. 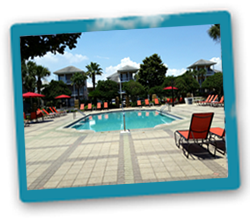 Emerald Shores also features 2 exceptionally well maintained in ground swimming pools. One is seasonally heated and can be enjoyed all year round. The addition of the second pools assures that you will have plenty of room to enjoy the water during the busy rental season. It is very nice to have 2 different places to spend your days in the sun. You can meet new people by trying 2 different pools. One is in the center of the community and the 2nd newer pool is located on the north end of the community. Destin is known for fantastic weather. 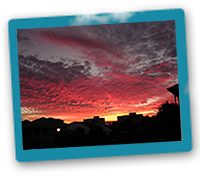 The summer is the most popular time of year fro the family vacations. The summer heat is helped by the breeze of the Gulf of Mexico. Spending the day at the beach and then watching the sun set is an all time favorite of most families that make Destin a favorite summer hang up. The FALL is another wonderful time in Destin. The heat is replaced with warm days with less humidity, warm water in the gulf and less crowds all over town. When ever you can come to Destin is the best time to be here! 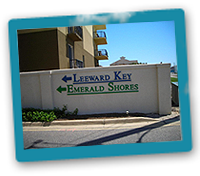 Emerald Shores south entrance is located on Old 98 in the same parking lot as LEEWARD KEY CONDOMINIUMS. There is another gate on the north end of the community that leads you out to big 98. 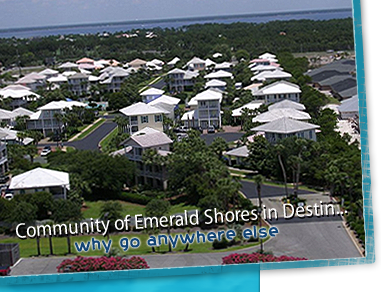 With 2 separate ways to access Emerald Shores, you will have the convenience of moving around town easily. So what are you waiting for? 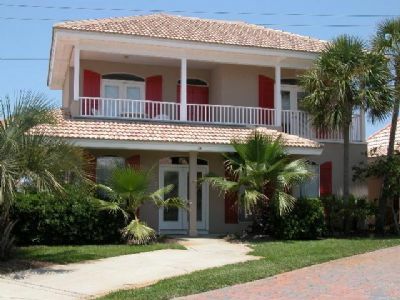 Be sure to pick your favorite Emerald Shores Vacation Rental in Destin Florida here. Book your vacation online today! You will enjoy your stay!